Over the years I have had the privilege to experience many different styles of yoga and movement arts. Each style and discipline offers specific medicine to the practitioner and I have settled into a very conscious decision to blend a ceremonial feeling to each of my yoga classes to help bring about a more well rounded offering to my students, and myself. 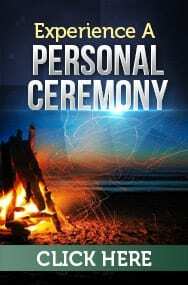 The word “Ceremony” can be interpreted many ways. To me, ceremony can be created in any area of your life to emphasize a high level of attention, care, and respect. You can brush your teeth and hop into the shower, and you can ceremonially cleanse yourself, touching and cleaning your body with a high level of care and love. You can grab something to eat on the run, or you can prepare your food in a way that you are honoring the earth and giving thanks for providing these nutrients to help sustain your life. Through my experiences with my own yoga practice, I have felt the powerful benefits of incorporating that ceremonial intent. You can move and sweat and flow through the poses, or you can consciously shift from your daily mindset into your Yoga Ceremony. This time away from life’s distractions, away from electronics, and dedicated to spending quality time with yourself. When I step onto my mat I step into Yoga Ceremony and bring my classes with me. I invite everyone to bring their highest level of attention to every breath we make, and every movement is done with care, attention, and working in a struggle free way bringing love, respect, and healing to our bodies. When you practice with me, I encourage each and every one of us to take advantage of this precious time we share together. We are all so busy, but when we pause for our gathering, every one of us is contributing to the breath and energy of our circle. Holding space, offering encouragement and support just by being there. Come practice with me and experience the powerful shifts that can happen when you enter into your own yoga ceremony!